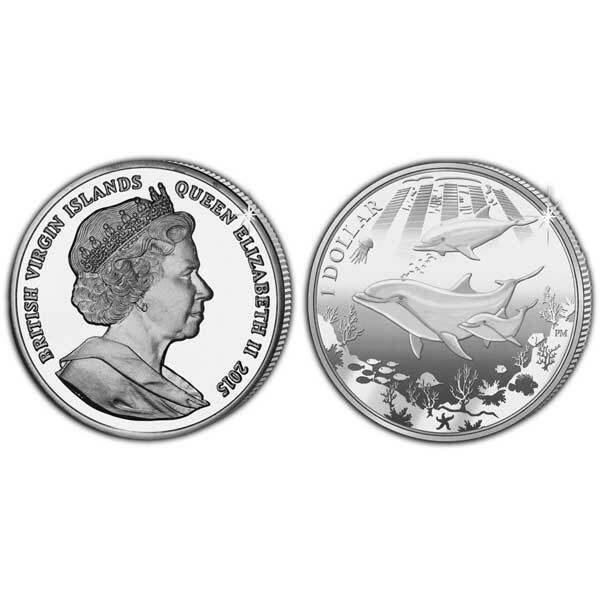 This unique collector’s coin features three beautiful dolphins diving to great depths in the midst of a detailed underwater world. Well known for their agility and playful behaviour, Dolphins are highly intelligent marine mammals, making them a favourite of wildlife watchers. Many species will leap out of the water and follow ships, often synchronising their movements with one another. Available in Turquoise Titanium, Proof Sterling Silver and Uncirculated Cupro Nickel, the obverse of the coin features an effigy of Her Majesty Queen Elizabeth II by Ian Rank-Broadley FRBS. All coins are produced to the highest quality and the precious metal coins have been struck four times to produce the lustrous proof finish. 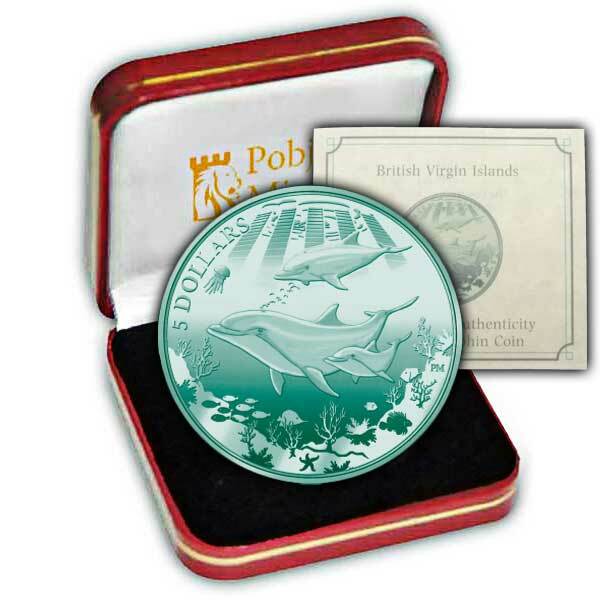 Add this beautiful dophin coin to your coin collection along with the unmissable 2014 Seahorse, also issued on behalf of the British Virgin Islands.